Poker Run for Charity! 2 Wheels, 3 Wheels, 4 Wheels, Everyone's Welcome! The Warrior Brotherhood Veterans Motorcycle Club is holding the first annual Labor Day Hero Ride Poker Run to benefit the Healing Heroes Network. On September 1st, participants can sign in starting at 10:30am at Janet's Mustang Bar. Meet others who support our troops, love motorcycles, and want to have fun during the holiday! 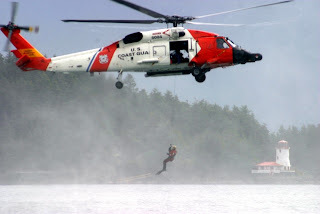 August 4, 2012, is the 222nd birthday of the U.S. Coast Guard. It's a great time to take a second to learn the history of this branch of our military and appreciate everything the USCG does for us.